Take your first steps towards financial independence with a personal checking account that's designed for your student lifestyle. 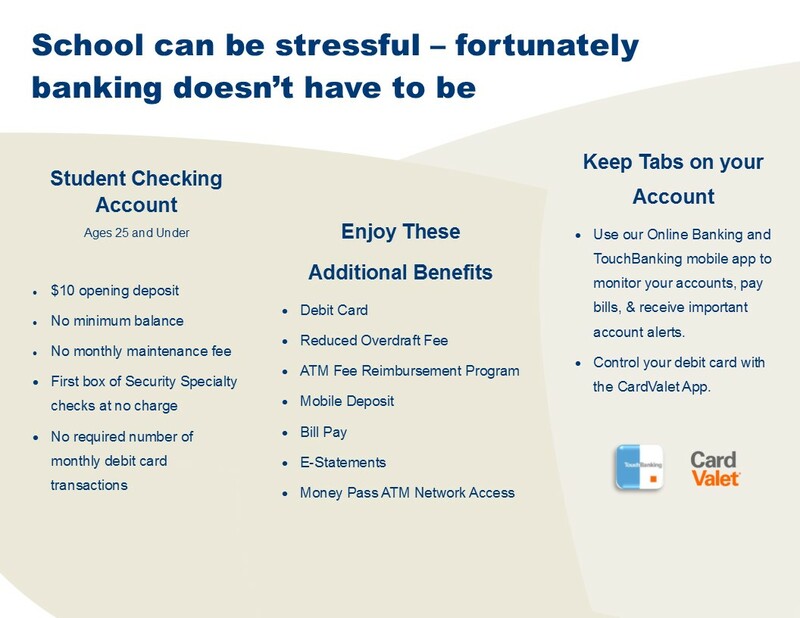 Our student checking account with no monthly maintenance fee, no required number of debit card transactions, and no minimum balance requirement helps you save while you study. Contact a Personal Banker today.